I’ve taken a long time away from my self studying of the Acting profession, and now I think it’s time to get back to it. 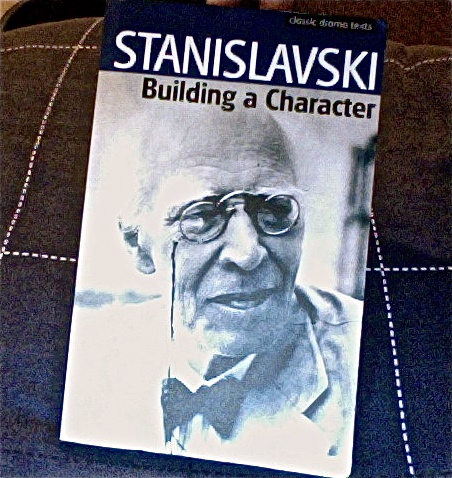 I finished reading STANISLAVSKI’s book ‘An Actor Prepares‘ some months ago, and continued on to this secondary book in the series, ‘Building a Character‘. It’s pretty heavy stuff to take in, which is why it’s taken so long to read. Being dyslexic myself, I take a long time to absorb theoretical information from books, but as texts go, this is one truly touch cookie to chew on. Hopefully I’ll get through it one tiny bit at a time and gain a greater understanding of the work that I want to do.